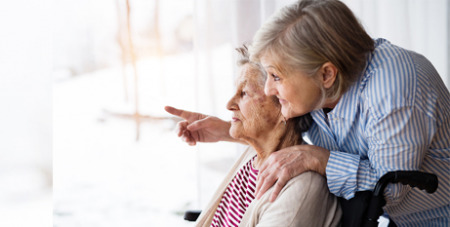 Catholic Health Australia says the Morrison Government’s announcement of an additional 10,000 home care packages is a further step towards reducing the queue of older Australians looking to access home care services. “The community and government have a much better understanding of the demand for home care packages following the creation of the national prioritisation queue for home care packages in 2017,” CHA chief Suzanne Greenwood said. The additional home care packages are a welcome addition to the 24,000 additional higher-level packages announced in the 2018-19 Budget and the December 2018 Mid-Year Economic and Fiscal Outlook. As well as the extra 10,000 packages, the Government yesterday committed an additional $320 million in 2018-19 for personal and nursing care provided in aged care homes, which Mrs Greenwood said will ease some of the funding pressures providers are experiencing following an indexation freeze and changes to the Aged Care Funding Instrument. “We highlighted in our pre-budget submission to the Government that the deteriorating financial performance of residential aged care providers was worrying,” she said. Catholic Health Australia also welcomed yesterday’s announcement that $4.6 million has been allocated for a trial of a new funding model, based on extensive research and analysis by the University of Wollongong. She said Catholic providers are pleased that the announcement shows the Government recognises the need for ongoing development of aged care policy while the important work of the Royal Commission into Aged Care Quality and Safety continues.